#TechDiversity has become a supporter of Safer Internet Day 2019. Safer Internet Day (SID) is an annual, worldwide event will be held on Tuesday 5 February 2019 to help encourage a better internet, with this year’s theme—’Together for a better internet’ encourages individuals to create a better internet by developing four, critical skills. We call these skills the 4Rs: Respect, Responsibility, Reasoning and Resilience. #TechDiversity has joined Optus, ANZ, nbn and Brumbies Women’s Rugby to support Safer Internet Day. 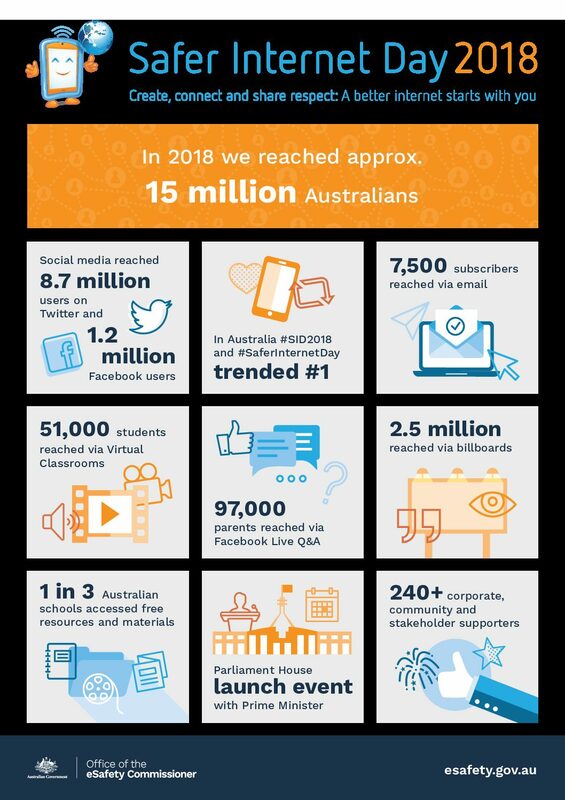 The eSafety Commissioner is committed to helping all Australians have safer, positive experiences online—just as they would offline.